Complete the questions to see a list of math curricula that are more likely to meet your needs. This questionnaire covers 10 different secular math options. Share your top 3 results in the comments. Go here to check out Christian or Christian-influenced math curriculum options for K-6. My child would learn best with a computer-based program. I would like a math curriculum that covers many topics with short activities and frequent review. I prefer a full-colored workbook with varied activities. Continually reviewing concepts is important. Understanding math concepts should be an emphasis. A fully-colored workbook with comic characters would hold my child's attention. Word problems are important and should be emphasized. Math instruction should include visual, tactile, auditory, and kinesthetic methods. I don't want to juggle multiple books and prefer to have the instruction written directly to the student. Mathematical patterns and relationships are more important than formulas. Each child should learn math at his/her own natural pace. Games, puzzles, and challenging problems are a good way to reinforce learning. Math should be taught in a step-by-step manner. Concepts should be the focus of math learning. Learning mental math is important in a math curriculum. Songs can be a good tool to learn math. Colorful workbooks, games, and manipulatives should be part of a good math curriculum. Problem solving and logical thinking are important in a math curriculum. Manipulatives are important in developing mathematical understanding. Learning the why of math is just as important as the how. I would prefer a program that my child can do independently. Math fact practice is best done through games. A child should practice a concept until it is mastered. I prefer a curriculum where previous concepts are revisited periodically. Memorization is important in the development of math skills. A math program should have built-in review to aid retention. A math program should involve hands-on learning. Math should incorporate auditory, visual, and tactile ways to learn. Learning to think through math is important in a curriculum. I prefer a curriculum that emphasizes creative problem solving. Enter your email (optional) if you would like to have the results emailed to you. 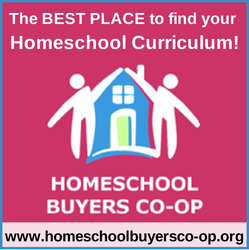 Your email will not be shared with others and will be added to our mailing list where you will receive occasional emails about homeschool curriculum. On the RightStart page it links to Christian Books, how is this secular? Huh. Never heard of these. Now to do my research. Thanks!